It’s still Christmas! I didn’t miss it! I still have time to post this completely ridiculous yet entertaining mix of metal Christmas songs! Bog blast us, every one! The new Agalloch disc, “Marrow of the Spirit,” was getting great reviews from all over the place. The guys at Metalsucks simply couldn’t shut up about how wonderful “Marrow” was and the disc was even reviewed on National Public Radio’s Web site – an event that took Agalloch’s music to a new, much-wider audience. However, I wasn’t very happy for them. And that’s when I realized I had a severe case of Trveness Disease, of the “trve kvlt” strain. Thankfully, realizing I had a problem was a big step in my recovery. 1) His/her (usually his) taste in metal is better than everyone else’s. 2) His/her favorite band is a rare gem, that can only be truly understood/appreciated/enjoyed by a select, chosen few. 3) Everyone else is an idiot. While other genres of music probably have their own varieties of “trveness disease,” the malady seems particularly vicious in metal. Metallica is an example of how old-school fans scream “sell out” the minute a band goes big. In the early 80s, fans clutching their copies of “Kill Em All” and “Ride The Lightning” could claim they were part of a new cult; while the mass crowd was bobbing its teased bangs to Motley Crue and the rest of the hair metal gang, the “trve” could look down their noses and claim their rarefied tastes in Metallica made them superior. That sense of superiority might have been slightly dented when Metallica made a video for the song “One” … but it was crushed all to hell when the “Black Album” was released and “Enter Sandman” was suddenly on every rock radio station in the country. The muttering (“the songs are too short; they’re not as complex as the old stuff”) began with the Black Album. When “Load” hit the street, complete with pics of the band with (oh god!) haircuts, the cries of “sell out” hit a crescendo. Once semi-obscure, now every frat boy in America was blasting “Fuel” out of his fraternity house window. The cult had been replaced by the mass crowd, and the “trve” brethren felt betrayed. They’ve never forgiven Metallica, either; the “trve” will hate every thing the band ever does. Hell, the next album could be the greatest Metallidisc since “Master of Puppets” and the “trve” will call it junk. The same cries of “sell out!” began when Opeth (who were underground, minor-lable darlings of the “elite” metal crowd) announced they were signing with Roadrunner Records. Immediately, the message boards were filled with people accusing Opeth of trying to be the next Nickelback (who are RR’s best-selling band). As it happened, Opeth pretty much stayed Opeth. But I’ve no doubt the move to Roadrunner cost the band a few fans. Those “fans” are not only doofuses, they deprived themselves of good music: “Ghost Reveries” and “Watershed” were great albums that were released by, you guessed it, Roadrunner. I understand the psychology behind excessive trveness: Metal is identity music – people who listen to metal aren’t casual about it, they’re devoted. But that devotion becomes obsessive and even harmful when it turns into “trveness” and fans start scouting for reasons to look down their noses at one another. To borrow a turn of phrase of James Hetfield’s from “Some Kind of Monster,” the trve love metal so much they strangle it to death. Trveness is bad because it sets up divisions where divisions don’t naturally exist. Fans of the more symphonic style of black metal all have something in common, so it becomes largely irrelevant if one fan likes Emperor while another prefers Dimmu Borgir or even (gasp!) Cradle of Filth. The “trve” fan who bought his copy of “In The Nightside Eclipse” doesn’t in 1995 doesn’t own black metal any more than the kid who got the new Dimmu disc at Hot Topic last week. The trve try to keep metal their own and hate any band that gains a wider appeal. My sudden irritation at Agalloch for – god forbid – creating an album that a large number actually enjoy was the selfishness of a child who wants to keep all the toys to himself. Instead of whining, I should be happy for Agalloch, a band that created a wonderful body of music and has deserved every positive word that has been said about them. 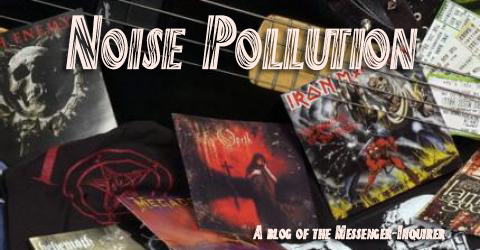 If every band that gains a bit of commercial appeal suddenly becomes “false,” every metal label in the world might as well close up shop, because metal is a business and the goal is to sell records. There’s no point giving a contract to a band that is not going to move records. And the trve put bands into a no-win situation: Trve fans want good music, but they don’t want it to be so good that it gains an audience of more than 3 people. What do trve fans want? As I said, they want to feel superior. But the fact that their sense of superiority is built on what is, frankly, a form of mass communication (and a commercial one to boot) is more than a little silly. The trve need to get over themselves. And I include myself when I say that. So, here’s to treating all fans of metal equally and being civil to one another on the Web. Don’t scoff at that kid who likes Hell Yeah. Don’t snicker at the guy at the show in the Cradle of Filth T-shirt. We’re all brothers and sisters under the same flag. No one of us is better than another. And oh yes: Go buy Agalloch’s “Marrow of the Spirit.” It kills. Some albums wow me right away, while others take time and repeat listens before I recognize their merits. 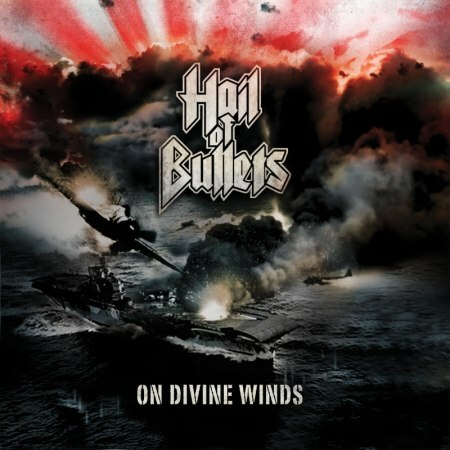 The new Hail Of Bullets disc, “On Divine Winds,” falls into the second category. I’m not normally the “first-day buyer” type, but I made sure I picked up “On Divine Winds” the day of its release in October. My excitement was justified: The Dutch band’s Metal Blade debut “… Of Frost And War” was one of my favorite albums of 2008. Of all the albums I bought that year, “… Of Frost And War” is the one I still spin regularly (sorry, Opeth). So imagine my surprise when I found myself initially underwhelmed by “On Divine Winds.” The album – the band’s second concept album based on World War II – seemed formulaic, like a warmed-over helping of “… Of Frost And War” that I didn’t necessarily need. After a few listens and half-listens, I put the record aside for a couple of weeks. When I finally put “On Divine Winds” back into my CD player, though, I noticed the album is not a pale copy of the band’s previous work. Instead “Winds” is much more melodic than its predecessor; while the band is still grounded in old-school death metal (and what else would you expect from a band that contains members or ex-members of Asphyx, Gorefest and Thanatos? ), the attention to melody – and the willingness to let the songs evolve slowly when necessary – makes the album much more complex than initially meets the ear. The brief intro, “Eve of Battle,” is a teaser for what’s to follow, as multi-layered guitars combine with orchestral keys for an epic effect. “Operation Z,” however, erupts with a burst of high-speed violence: Considering the metal pedigree of the musicians, it’s no surprise guitarists Stephan Gebédi and Paul Baayens, bassist Theo Van Eekelen and drummer Ed Warby are such a precision machine. These guys know how to blaze, and the twin guitar solo is a surprise. Vocalist Martin Van Drunen doesn’t have a great deal of range … but why would anyone expect “range” in death metal? What Van Drunen has in spades is passion, along with a gravelly bark that fits the musical rage perfectly. Well, “high-speed violence,” “rage” and a “bark” are all fairly common in traditional DM … but the band throws a major curve ball into “Operation Z,” when the song slows and drives into a winding, slithering, grinding interlude before doubling back for a final blast of the main riff. The band could have double-bass bull-dozed all the way through, so the decision to slow down is a welcome change of pace. “The Mukden Incident” is slower than “Operation Z,” although “slow ” shouldn’t be mistaken for “easy listening.” The middle section, complete with dual guitar melodies, is another eye-opening moment. There are too many excellent tracks to spend much time highlighting them in depth. Along with “Operation Z” and “The Mukden Incident,” other favorites are the excellent “Strategy of Attrition” and the slow-burning “Full Scale War.” Guadalcanal” has a great opening riff and a thundering charge. While I try to avoid use of the overtaxed and overspent word “brutal,” there’s no other word to describe the merciless pounding of “On Coral Shores” – jeezus, that song is vicious even before it jumps from a relentless march to a armored gallop. It’s a song that gives me chills. Finally, the outro “To Bear The Unbearable” is beautiful in it’s crushing despair. The melody is gorgeous, the mood is one of total gloom and the audio sample at the end is absolutely haunting. I don’t know if “On Divine Winds” will join “… Of Frost And War” on my regular CD rotation, but “Winds” is a surprisingly intricate and melodic work of DM heaviness. I won’t say it’s better than “… Of Frost And War,” but “Winds” is musically more complex and calls for a patient ear to discover all its treasures. I’m very impressed. Thus far, Hail Of Bullets can do no wrong.